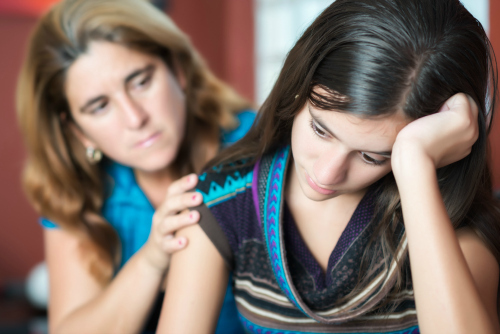 RESTORE is a team of professional family advocates responsible for connecting parents of troubled teens with therapeutic schools and programs that provide therapy and educational services. RESTORE Advocates are professional child placement counselors, having helped thousands of hurting families find affordable therapeutic care for troubled adolescents. The RESTORE Advocacy Team represents a unique consortium of independent residential treatment centers, therapeutic boarding schools, wilderness therapy camps, group homes, and young adult treatment programs - all designed to provide therapy and academic support to struggling teens and young adults. We serve parents, troubled teens (both boys and girls, as well as young adults - young men and young women - helping to restore hope and a full future. For immediate help call 866-452-6321. “Advocacy - providing a standard of excellence with an emphasis safety, security, treatment, values, and education, all devoted to healing the troubled child and reuniting the family"
Recognized as a leader in the behavioral health industry, the RESTORE team is a collective of professional family advocates and parent coaches. Over the last 14 years these advocates have faithfully provided coaching, guidance, and support to the parents of thousands of troubled teens. The RESTORE Family Advocates have effectively vetted the schools and programs they represent. Their job is to find the best school or program that fits your child's unique situation. The RESTORE consortium of therapeutic schools and programs are a collection of the best residential treatment centers and therapeutic boarding schools and programs in the United States. Parents who have worked with a RESTORE Advocate reach out for help because they have a troubled boy or girl and they need immediate professional help - before it is too late. Parents contacting RESTORE have tried everything possible to stop the downward spiral associated with teenage rebellion. However, traditional counseling, clinical therapy, and local treatment centers have not worked, and the rebellious child seems to have gotten worse. In some cases, there is no time to lose. If this is you, please do not hesitate to contact RESTORE. All of our Family Advocates are parents of former troubled teens. Meaning, they have been where you are and they survived. The RESTORE Family Advocates and Parent Coaches have personally gone through the turmoil of a troubled teen, and have come through the process completely restored. Today, they are focused on using their collective experience to help families find the help they need. If you are looking for advice, assistance, and guidane to find affordable schools and programs that work, look no further. Call 866-452-6321 and GET HELP TODAY! RESTORE's consortium of programs are designed to get the struggling student back on track emotionally and academically. The RESTORE schools are best known for providing drug and alcohol treatment, therapeutic intervention, emotional growth, academic restoration (second chance to improve GPA and catch up on credits), and family restoration. Many parents refer to the RESTORE programs as "Therapeutic Boarding Schools”; but in reality they are much more than that. Therapeutic Boarding Schools are academic-based residential treatment programs providing therapy, individual and group counseling, and family restoration. But that is just beginning. Parents and students have reported that the programs represented by the RESTORE team as therapeutic boarding schools as being “life savers”. A few of the therapeutic boarding schools promoted by RESTOR are designed for gifted, talented, yet highly dysfunctional rebellious kids. The goal is to go beyond therapy and treatment to produce strong college-bound leaders who have experienced the miracle of total restoration. Our goal is to assist troubled teens toward "total restoration", academic excellence, and the restoration of a powerful future. 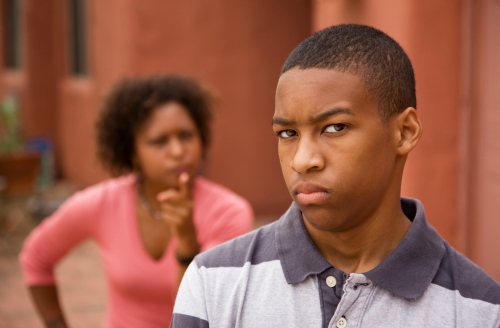 The typical RESTORE student is a young man or young lady who has rejected his/her parental authority and is in crisis. These troubled boys and troubled girls refuse to follow the family rules, is enamored by the material trappings of this world, is caught up in peer acceptance, is emotionally immature, self-centered, and self absorbed. The typical student is abusing drugs and alcohol, is sneaking out and lying about their whereabouts, is becoming more and more isolated from the family, displays outbursts of anger, and is making poor choices. These teenagers are focused on having fun, they don't seem to care about school, they are very moody, and they have a whole new group of friends that are also going in the wrong direction. Recent studies prove that the most successful therapeutic intervention for troubled teens is found through a long-term, out-of-home placement similar to what you would find through therapeutic boarding schools. At the RESTORE recommended schools and programs students regain their destiny and begin to see themselves as successful college-bound students. Before enrolling into one of the RESTORE recommended schools students "lived for the day", refused to take responsibility for their choices, acted as victims, and despised accountability. "After completing a RESTORE recommended programs, students prove to be empathic, caring, willing to serve others without complaint, take responsibility for their choices, and hold themselves and others accountable. Students regain a vision for their life, a life that has purpose and significance." The typical troubled teen that we serve is only focused on his/her friends, having fun, and hates to be corrected, disciplined, or held accountable. We describe these troubled teens as a young person who lacks "emotional intelligence". RESTORE backed schools and therpeutic programs are all about "credit recovery" and "grade repair," especially for troubled teenagers who have floundered, and need to get back on track emotionally, spiritually, and academically. For more information about our academic restoration program please contact our Admissions Counselors at 866-452-6321. Students successfully progress through one of the RESTORE recommended schools because we only recommend schools that have supportive professional therapeutic environments, staffed with trained caring professionals who are dedicated to the effective treatment of struggling teens.